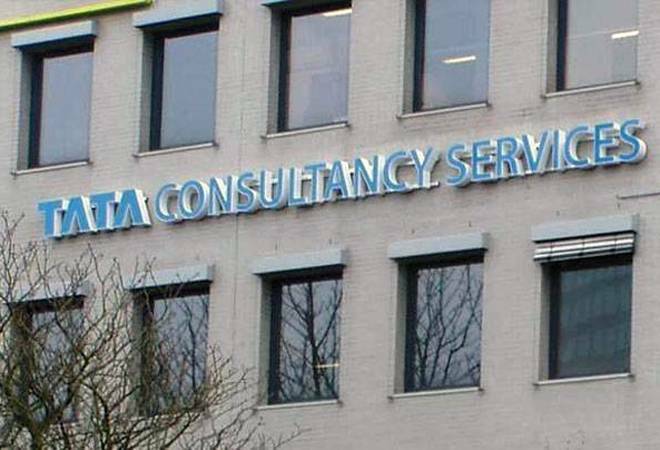 A day after Tata Consultancy Services (TCS) made history by becoming the first listed Indian IT firm to cross the $100-billion market-capitalisation level, its share price has cracked around 1 per cent. A day after Tata Consultancy Services (TCS) made history by becoming the first listed Indian IT firm to cross the $100-billion market-capitalisation level, its share price has cracked around 1 per cent. In the bargain, currently it is no longer in the $100 billion (Rs 6.63 lakh crore) market cap club. However, it is still the country's most valued firm with a market cap of Rs 6.49 lakh crore followed by Reliance Industries and HDFC Bank. TCS's share price has been wildly yo-yoing all morning. To begin with, it opened slightly lower at Rs 3412.95 apiece compared to the previous close of Rs 3415.2 on BSE. It then proceeded to bottom out at Rs 3376 before again climbing up to a high of Rs 3443.50 apiece. As of 11.50 am, it was trading at Rs 3387.25. The big question now is whether India's largest software services exporter can sustain its growth momentum in the near future. According to a report in The Economic Times, the answer is affirmative given the company's proactive decision to invest in new technologies. Over the past five years, the traditional revenue model of Indian IT companies has changed. As clients tend to seek more for less, automation of mundane tasks and technologies such as social media, cloud computing, mobility, and analytics that are clubbed under digital platform have become the norm - it's no longer about supporting growth through additional headcount. Since TCS started building these skills early on, since 2013, it has managed to stay ahead of the curve. According to TCS CFO V. Ramakrishnan, while their peers were busy passing the benefit of weaker rupee at the time to clients in an attempt to win more business, TCS instead started investing in new platforms. This is now helping the firm to reap the benefits of the growing demand for digital solutions - significantly, without affecting its operating profitability much. TCS has furthermore adopted a strategy of making its solutions independent of where its clients are located. This reduces the cost of product ownership. "Under the Agile environment, we accelerate the time to market for our clients by making the development process flexible and location independent," Ramakrishnan told the daily. But not everyone is convinced about a sustained TCS boom. "TCS requires incremental revenue addition of $2.1 billion in FY19 and about 11% CAGR in incremental revenues over the next 7 years to justify the price. We like the business model of TCS but struggle to justify valuations," said analysts at Kotak Institutional Equities in a note to clients last week according to Mint.